Item # 317718 Stash Points: 1,795 (?) This is the number of points you get in The Zumiez Stash for purchasing this item. Stash points are redeemable for exclusive rewards only available to Zumiez Stash members. To redeem your points check out the rewards catalog on thestash.zumiez.com. 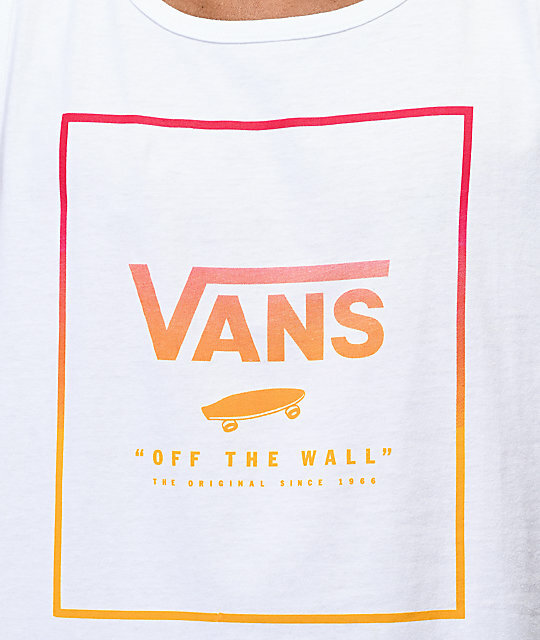 Showcasing classic Vans styling and paying homage to the brand's humble beginnings in 1966, the action sports/lifestyle company presents the Jazzy Print Box White, Red and Orange Tank Top. Across the front displays a clean box logo graphic in a red, fade to orange colorway for a warm disposition. 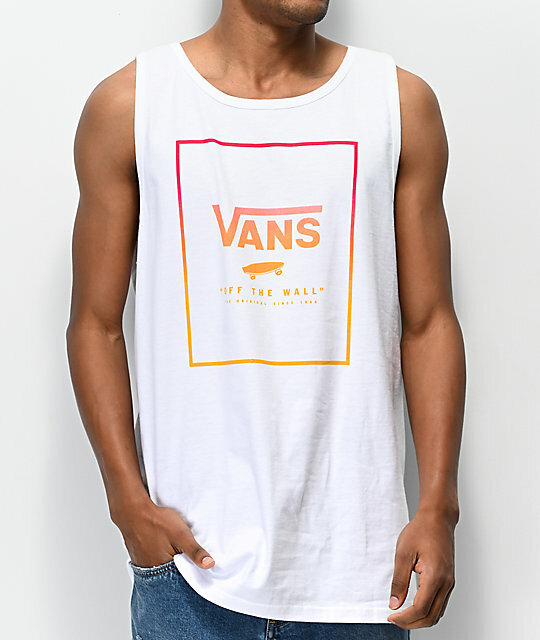 Jazzy Print Box White, Red and Orange Tank Top from Vans. Screen-printed box logo graphic on chest in red, fade to orange colorway. Brand tag on bottom seam. 31" (79cm) from top shoulder to bottom hem.